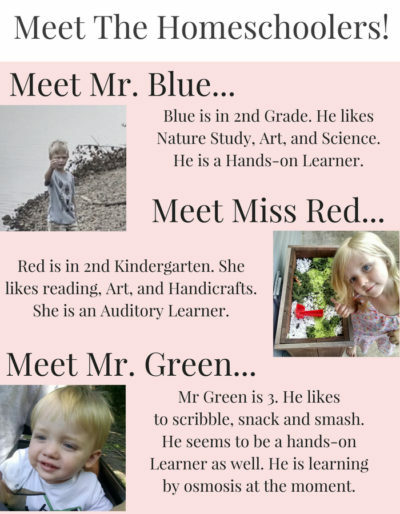 One of my favorite parts of a Charlotte Mason education is nature study, but I know not all parents feel the same way. When you don’t enjoy something or you’re just not sure how to implement it, sometimes just having a starting point can be helpful. 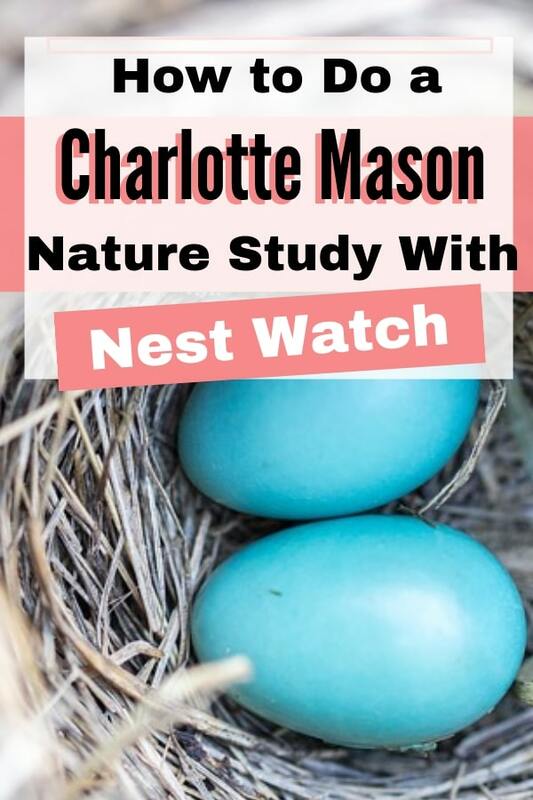 Every spring and summer as part of our home education we participate in something called Nest Watch . It’s a great way to get started with nature study. It works well because you are provided with all the tools you need. It includes a free course on how to safely observe a birds nest without disturbing it. This course took me less than an hour to complete with my son. After taking the course you are certified as a Nest Watch citizen scientist. We proudly display our certification in our homeschool room. After you are certified you can begin observing nests in your area. We watched nests all along our block, asking for neighbors permission to observe the nests in their yards as well. We recorded our data on the Nest Watch website on a regular basis. They regularly post different species of birds they are looking to watch in particular as well. We use a good field guide to identify our birds. Last year we were able to watch 5 nests. We observed 3 Robins nests and 2 Morning Dove nests. This year I have noticed a few new species of birds who have taken residence in our birdhouses. I am eager to see if they have any eggs, but I lack a ladder to find out! 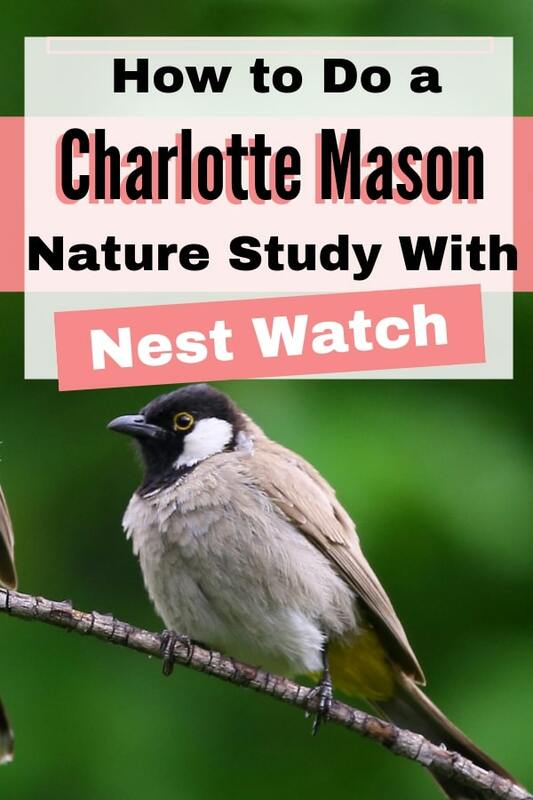 Nest Watch is hosted by the Cornell Lab of Ornithology. The Cornell Lab website is also a wealth of information from its online bird ID help to birdhouse plans, you can find many resources here as well. Cornell also has an app that can be downloaded to your phone to help you ID birds you come across during nature study. 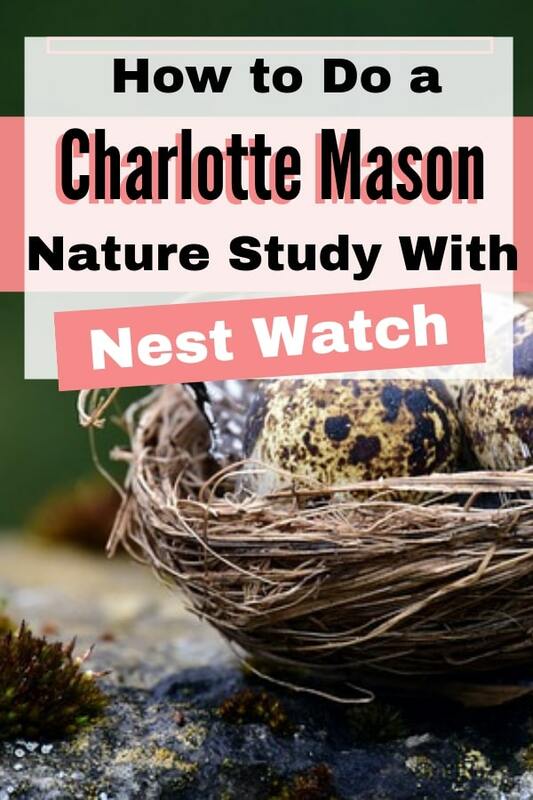 I encourage you to check out Nest Watch and participate as part of your nature study. It’s a great way to show children how nature study is science! It’s also a great way to practice observation skills as well as recording those observations. Not only are you cultivating valuable skills for your children you are in fact helping scientists study these birds. 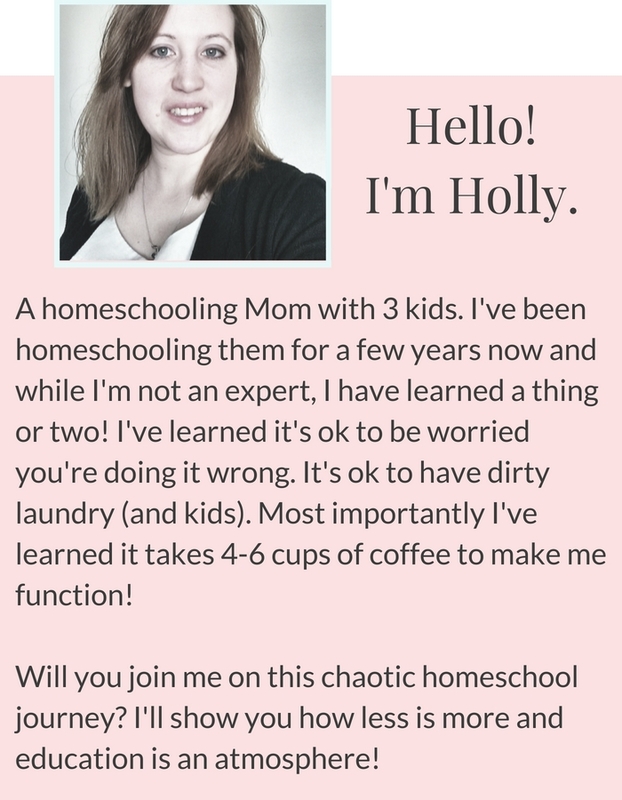 My Favorite Items for Homeschooling!